There is no replacement for elite. Being committed to providing solutions and after-sale technical services of all kinds of high quality adhesive/surface/reatment /repair/sealing and other new special materials for manufacturing. Save the cost of maintenance in severe environment. Elite adhesives are applied to save the cost of maintenance in severe environment. such as the loose of fasteners, the wear of pump and the leakage of grommets. All of them may cause stop production and high cost of clean. Elite products can protect chemical areas and other expensive pumps and components to avoid corrosion and gas leakage. Adhesives are applied to ready-to-use adhesives for home and offices. Adhesives are all-purpose adhesives, easy to operate. The products can be soluble in appropriate solvents with quick curing speed. In addition, adhesives are widely used in offices and home without isocyanate solvent and tin. Adhesives are applied to various transportation,such as cars, trucks and motorbikes. 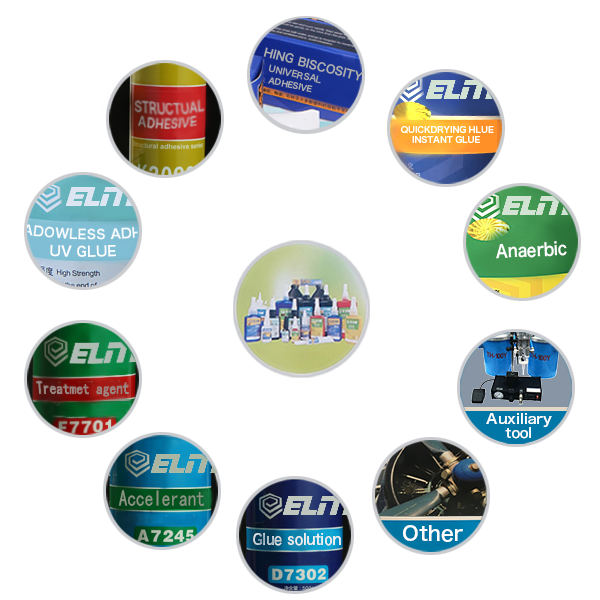 Elite adhesives are easy to operate with high quality and efficiency. In transportation industry, adhesives are applied to bond, fix and seal metal, plastic, fiber, glass, rubber and different materials. Elite adhesives are applied to requirements in different industries. Adhesives are widely used in all walks of life. Adhesives are widely used in electric industry, electronic industry, packing industry, shipbuilding industry , civil engineering industry, aerospace industry, wood industry, pressure－sensitive adhesive tape, release paper, crafts, wallpaper bonding and optical industry. Hong Kong Elite Technology Intl Limited. is committed to the research, manufacture and application of adhesives in various industries, such as industry, electronics, crafts industry, machinery, printing industry, decoration, furniture industry, architecture, lighting industry and transportation. Elite business philosophy is that “quality first, credibility is supreme and service is outstanding." Elite treats environmentalprotection as the basis of products, making honesty, diligence, innovation and excellence as our faith. Hong Kong Elite Technology Intl Limited. firmly believes the relationship with customers is a developing cooperation. What we cared is the problems cared by customers, such as quality, price and delivery period. Our company will supply perfect products, technical supports and post-sale service. Elite is keeping abreast of the development of adhesive industry to ensure the high quality of products. Moreover, we would try our best to help customers build an efficient operating system and keep close collaboration with customers. Hong Kong Elite Technology Intl Limited operates two production bases in China and Britain, while each base owns independent scientific laboratories with the most advanced equipment. Guangzhou Elite company is one of them. To ensure a leading position in the industry, every production base keeps academic communication with international authorities periodically.Elite is committed to creating excellent products which export to America, Europe, Australia and Southeast Asia. As the designated materials suppliers of top brands in manufacturing industry, Elite has customized service for thousands of enterprises.